Whether you're looking for a new home, a builder your friends trust, or to save money on your household bills - PropertyHeads has the solution. PropertyHeads has approaching 500,000 homes available to buy and rent across the UK. And we make the home moving process easier than ever with innovative tools such as InstantAgent messaging, Deal Groups and our integrated Move Planner. But we're not just for home movers. 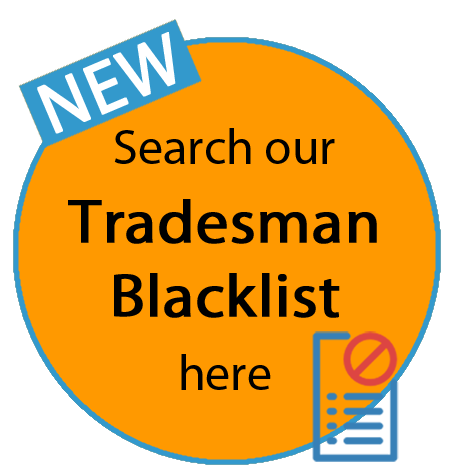 We allow anybody to connect with and hire the local tradesmen that have been reviewed by their friends. We can find you the best mortgage deal, and we also have exclusive offers on home insurance, and broadband. And because we're the property social network, help and advice is available at every step of your property journey. PropertyHeads gives estate agent branches the power to promote their own brand, provide better customer service and ultimately grow their business. PropertyHeads is an important tool for connecting with past clients and friendly local businesses, to keep them up-to-date with your business and ultimately to win work. It is completely free of charge for tradesmen and property businesses to have a PropertyHeads account. PropertyHeads is one of the fastest growing websites in the UK and should appeal to a wide range of advertisers. We can offer a range of marketing solutions that can be tailored to fit with your budget. Please contact admin@propertyheads.com for further details. An all-encompassing interactive free-to-list property portal and social network, PropertyHeads.com launches today to estate agents throughout the UK, to help streamline the homebuying process and assist estate agent’s marketing campaigns. PropertyHeads.com offers tools which are designed to improve the homebuying process such as Deal Groups, a secure online forum, enabling estate agents to invite all parties involved in a property transaction to coordinate communication. This tool will improve the transparency of activity throughout the buying process and help highlight outstanding requirements. Users can also store documents, such as mortgage offers, surveys and searches, on a secure platform. The interactive social platform will also empower estate agents to win new instructions and sell more homes, by enabling estate agents to maintain control of their brand by networking with their clients directly, posting content and managing buyer and vendor enquiries. However, uniquely, the portal is not only a tool for the professionals. Homebuyers will be able to not only search the database of approaching half million homes for sale and rent, but comment on and share these properties with their friends. Users will be able to find tradesmen and property services recommended by their network and local advertisers and in partnership with PropertyHeads.com’s affiliated members, consumers can access a price comparison service for products such as mortgages, energy providers and home insurance. Founder and CEO of Emoov.co.uk, Russell Quirk, comments: "Over the last seven to 10 years, we've seen the technological disruption of the property selling process in the UK but the great thing about innovation is that it's ongoing. Further disruption, innovation and competition is inevitable and can only ever be a good thing for both agent and consumer alike. Home sellers and buyers want convenience, whether that be ease and variety when communicating or the availability of additional services to help streamline the homebuying process all under one roof. With PropertyHeads.com now providing this in the property portal space, and with no charge to the agent, the company is set to establish a very strong foundation in no time." About PropertyHeads: PropertyHeads.com has been developed using the latest technology, it is a social network with fully integrated property portal, but it also offers a find-a-tradesman service, and price comparison for several property related products. For more information please email admin@propertyheads.com.